A great architectural wonder built on the edge of a cliff. 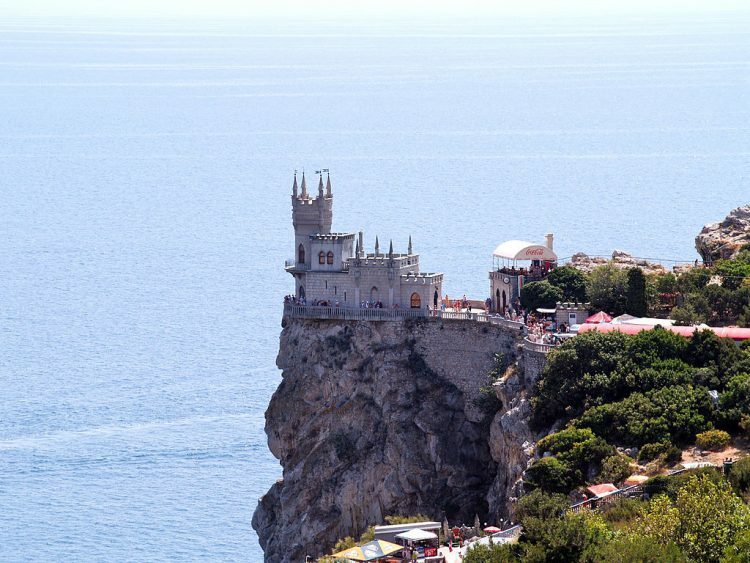 Swallow’s Nest is an ornamental castle built in Yalta, Crimea peninsula, Ukraine, built between 1911-1912 by Russian architect Leonid Sherwood. 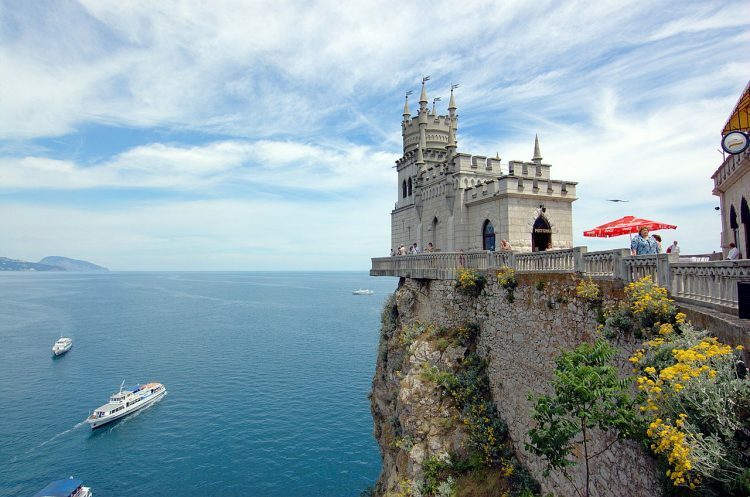 It lies on the 130foot-high Aurora Cliff, overlooking the Black Sea. Over time it has been a restaurant, a reading club headquarters and, lately, a very popular tourist attraction. In 1927 it survived a strong earthquake (between 6 and 7 on the Richter scale) with only a few decorative elements falling in the sea, but the cliff itself developed a huge crack, so access to the Swallow’s Nest was restricted for almost 40 years. In 1968 the castle was renovated and a monolithic concrete plate console was used to strengthen the cliff. I love the way it looks, but I wouldn’t feel comfortable visiting a place that looks like it could fall into the see any second.